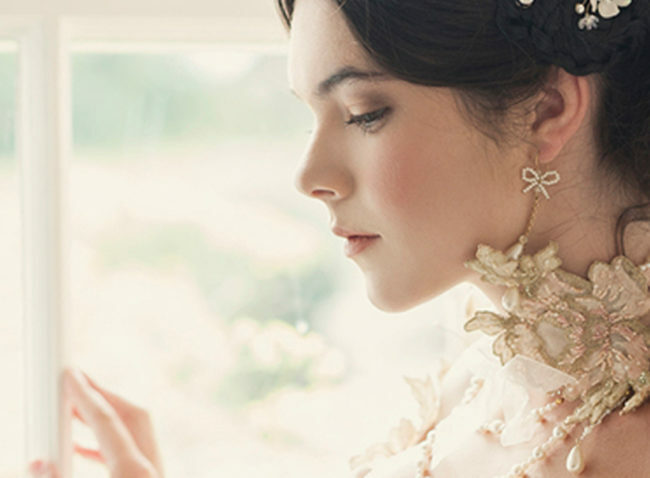 The earrings in my collection are designed to fit the gown collection in style, with a nod to the Baroque & my personal love of statement & unusual earrings but with a modern styling twist; they have been designed to be adaptable & I love styling them on models & clients in a less classical way, adding a touch of rebel to my head to toe, couture looks. 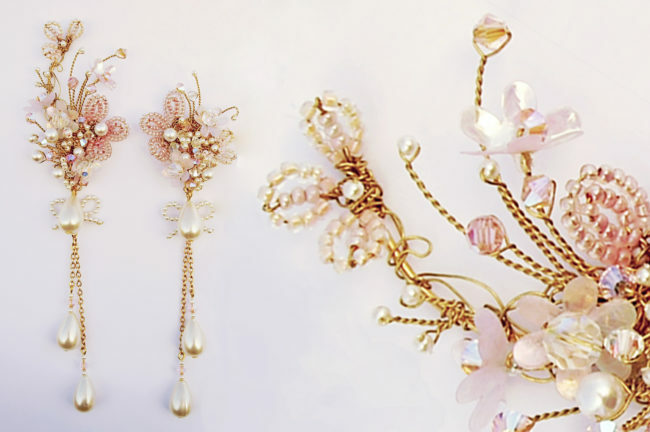 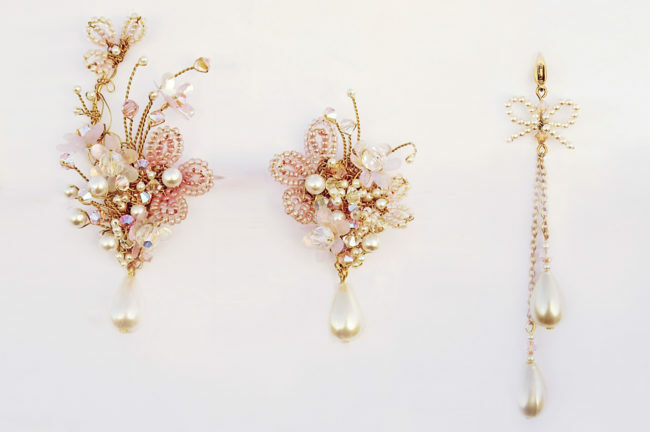 In the collection are up ear pieces, like beautiful, ornate ear cuffs that grow up the ear with optional extenders to turn a shorter drop style into full on chandelier earrings. 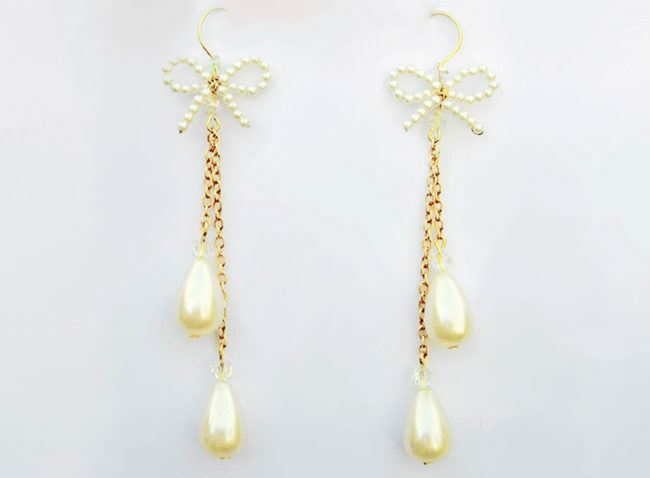 These are mis-matched with a complementary, more standard style earring. 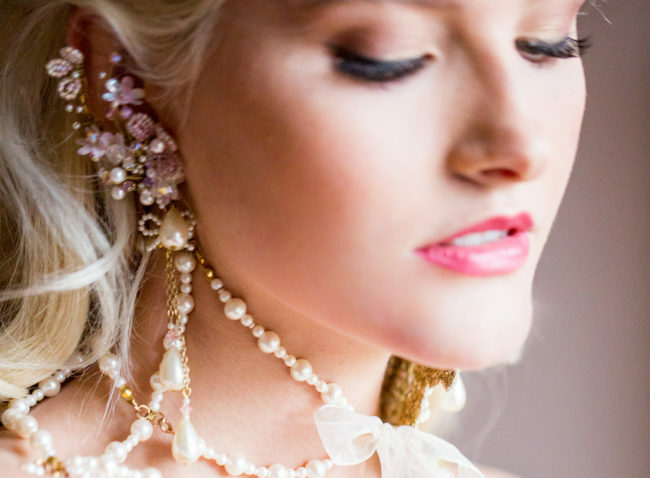 Another trend are chokers & we have a beautiful lace & pearl, beaded, deep choker that is both romantic & dramatic & the perfect accessory for a strapless gown & swan neck.